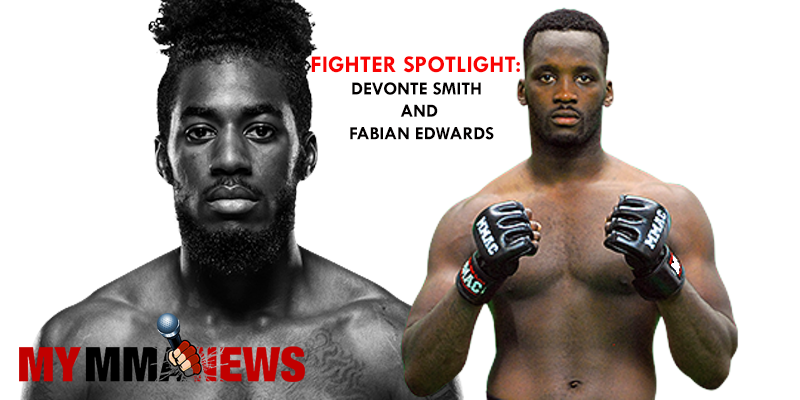 In this Fighter Spotlight write-up, I will preview a fighter on the upcoming UFC event, who is currently not ranked in the top 15 of their division, but is someone I think could be eventually. 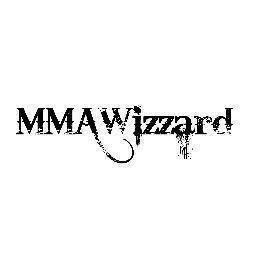 I will also preview a prospect outside the UFC, who I think has a bright future and will be possibly be a ranked UFC fighter in the future. I have gone on record a few times saying that Devonte Smith was a top prospect and the future of the UFC lightweight division. Fans still wrote him off when he lost to John Gunther in January of 2017. Despite the negativity toward Gunther his durability and toughness are solid. Smith took it hard to Gunther in round one, almost getting the finish but he would burn himself out and lose the next two rounds. I haven’t seen someone with so much knockout power in a long time, especially after watching Smith on the regional scene. Smith is a knockout artist with everything he throws, having “lights out” written all over it with kicks, knees, punches and ground and pound. Speaking of his ground and pound, it is just lethal with so much power knocking his opponents dead. Smith isn’t just power, he is very quick, he’s a good kickboxer, he cuts angles good, and he throws great combinations. He also has some decent wrestling to fall back on. “King Cage” headlines the prelims on Saturday for UFC 234 against Dong Hyun Ma. Hyun is a future ranked guy but he’s a very tough fighter for a young up-and-comer like Smith. Hyun has much more experience who has good judo, technical on the feet, and a solid chin. Smith has a big advantage in speed and explosiveness but this a huge test for him. Fabian Edwards is only 5-0 as a pro but has a stellar amateur record of 10-0. He is the younger brother of UFC star Leon Edwards. Much like Leon, Fabian has been on a tear outside of the UFC and many think he could succeed in the UFC just as well. The only visible weakness seen in his career is that he finds himself on his back at times without much of a plan to get up. However, he has gotten a lot better with his takedown defense and scrambles. Edwards is a very scary fighter, especially on the feet. He has the power in his hands to put guys to sleep, which he’s shown throughout his career. He throws everything to end the fight and has also won a couple of his fights with knees/flying knees but three of his pro fights are won via submission. Edwards is an explosive, athletic beast that is a tremendous prospect. He is currently under contract with Bellator so he will be testest in the future. He fights this Saturday for Bellator Newcastle against Lee Chadwick who has 38 combined fights. Chadwick has a lot of ware and is 34 where Edwards is much more younger, faster, and explosive.